These black fox tails come on a ball chain. They average about 12" to 14" but individual tails may vary a couple inches either way. 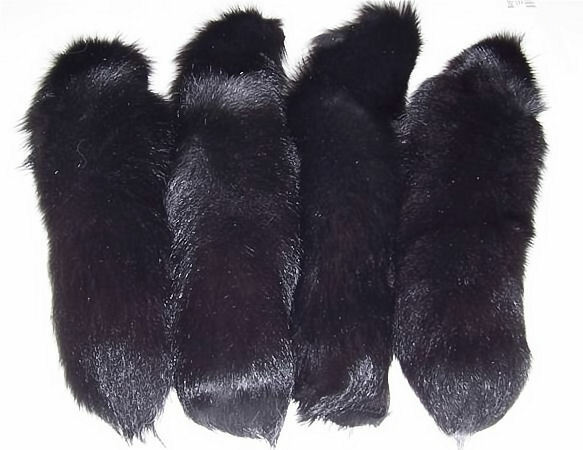 All black fox tails are dyed, black is not a natural fox color. You can combine different colored fox tails to meet quantity discounts. Our shopping cart will automatically recomputed the prices when the next discount level is reached. These are hot sellers at pow wows, flea markets, fashion botiques, biker rallies, and car shows.